May 7, 1959 – The Chicago Daily Tribune engages in a bit of gloating after, a day earlier, publishing an editorial that called for the revival of a 1957 proposal for the improvement of the south bank of the Chicago River near the Michigan Avenue bridge. Voices are heard in City Hall endorsing the long-range plan that includes the extension of Wacker Drive east from Michigan Avenue to meet Lake Shore Drive as well as “a river bank of flowers with outdoor, French type cafes spotted along the banks.” [Chicago Daily Tribune, May 7, 1959] With the exception of a 190-foot city-owned parcel just east of the bridge, the land on the south bank is owned by the Illinois Central Railroad. The article includes a rendering, shown above, that gives an idea of what the south bank might look like if the plan is implemented. 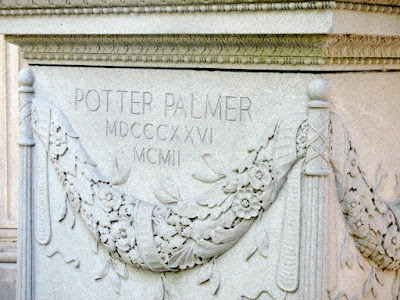 May 7, 1902 – Hundreds of people line Lake Shore Drive north of Oak Street to pay a final tribute to Potter Palmer. The Reverend James S. Stone, rector of St. James’ Episcopal Church, leads modest services inside the Palmer mansion. The honorary pallbearers are led by Marshall Field and Robert T. Lincoln. 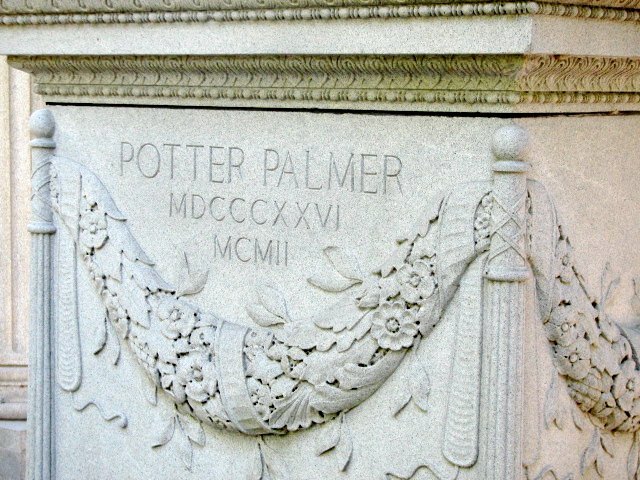 Active pallbearers include: Carter H. Harrison, J. Ogden Armour, Frank O. Lowden, H. G. Selfridge, James H. Eckels, Cyrus H. McCormick, Watson E. Blair, and Otto Gresham. Carriages line up on Schiller, entering the mansion’s yard through the north gate as Mrs. Palmer, accompanied by her sons, Potter Palmer, Jr. and Honoré, enter them for the ride to Graceland Cemetery. Large delegations from the Iroquois Club and the Hotel Men’s Association also are present.